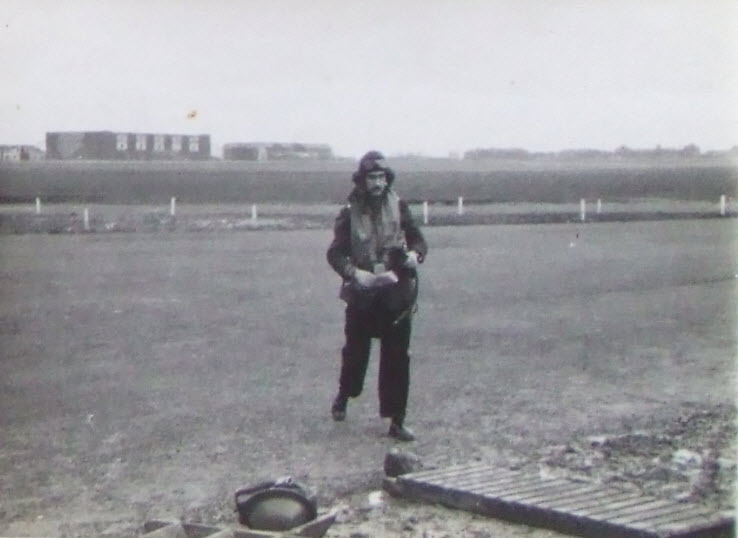 Some years ago we were contacted by John’s daughter who very kindly provided us with photographs of her father. The text is from his obituary in the Times. 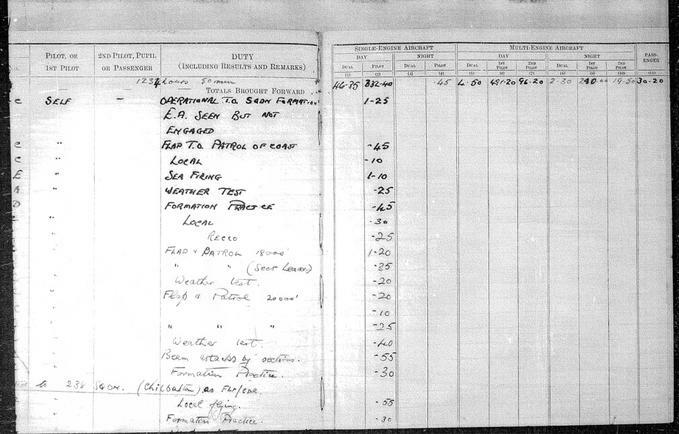 O’Neill was serving as a pilot with No 58 Squadron on the day the Second World War broke out, September 3 1939. 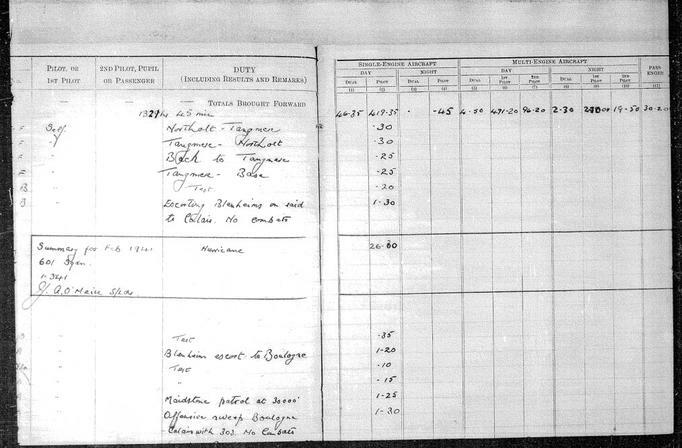 That evening he took off in his Whitley bomber from Leconfield, in Yorkshire, to drop leaflets over the Ruhr. 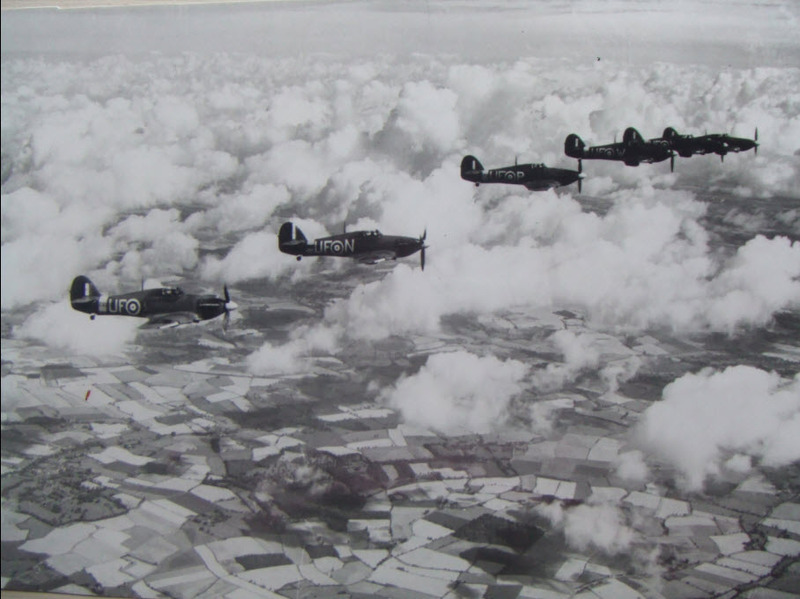 The 10 Whitleys which took part were the first RAF aircraft to fly over mainland Germany. Returning over France, one of O’Neill’s two engines failed and he was forced to crash-land in a cabbage field near Reims. 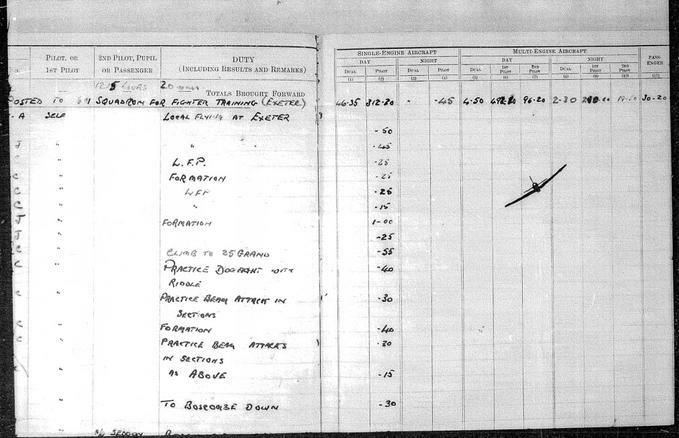 His aircraft was destroyed, the first on RAF operations to be lost in the war. Leaflet-dropping over the main cities of Germany – officially called “Nickel Raids”, but referred to irreverently as “bumf bombing” by the crews – was the principal activity for the Whitley force during the early days of the war. 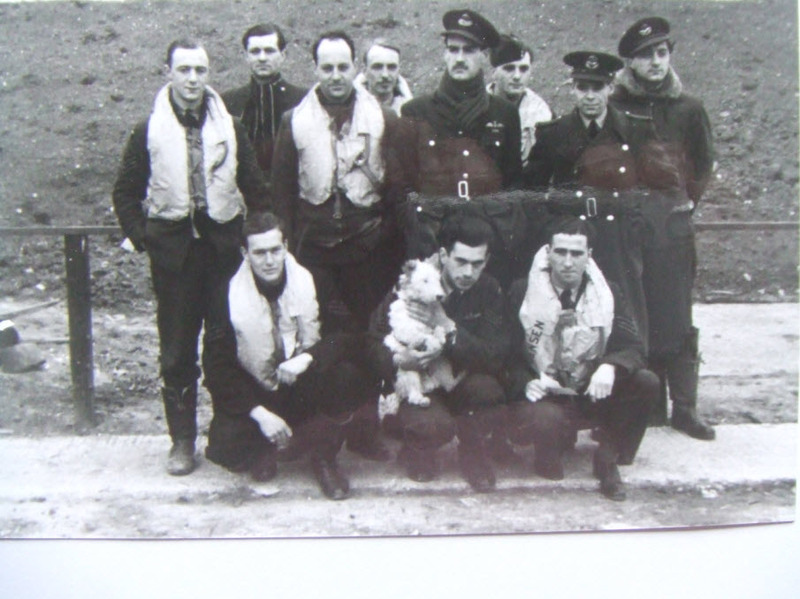 In late October the squadron was transferred to Coastal Command, and O’Neill flew numerous convoy support and anti-submarine patrols over the North Sea and the English Channel. No 58 returned to bombing operations in April 1940, and later that month O’Neill attacked the airfields at Fornebu and Stavangar in Norway. 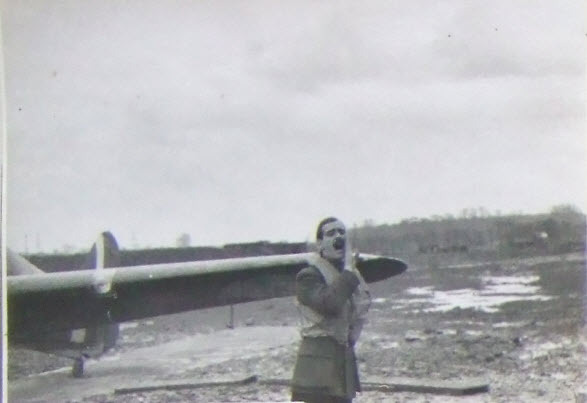 Following the Blitzkreig on May 10 he attacked Maastricht airfield, and five days later bombed Germany for the first time when he went to Düsseldorf, where his aircraft was badly damaged by anti-aircraft fire. 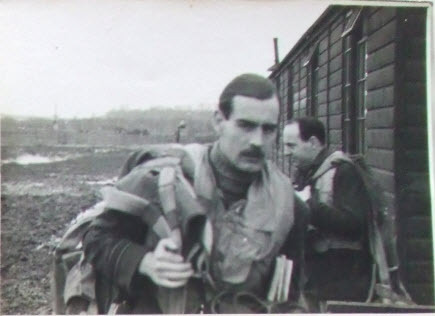 Over the next few weeks he was constantly in action, bombing communications targets and bridges in north-west France and Belgium in support of the British Expeditionary Force. 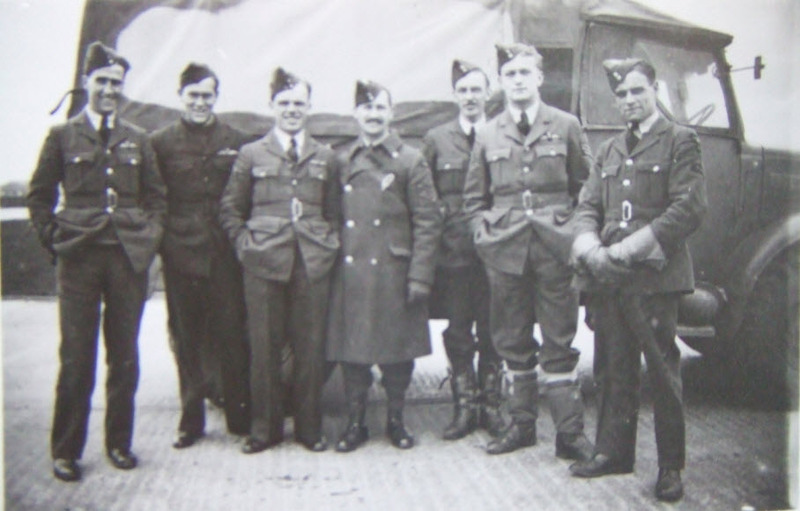 He also bombed targets in Germany, and on June 11 he took off from Guernsey on the RAF’s first raid against Italy – most of the Whitleys, however, including O’Neill’s, were forced to turn back over the Alps when their aircraft became covered in ice. 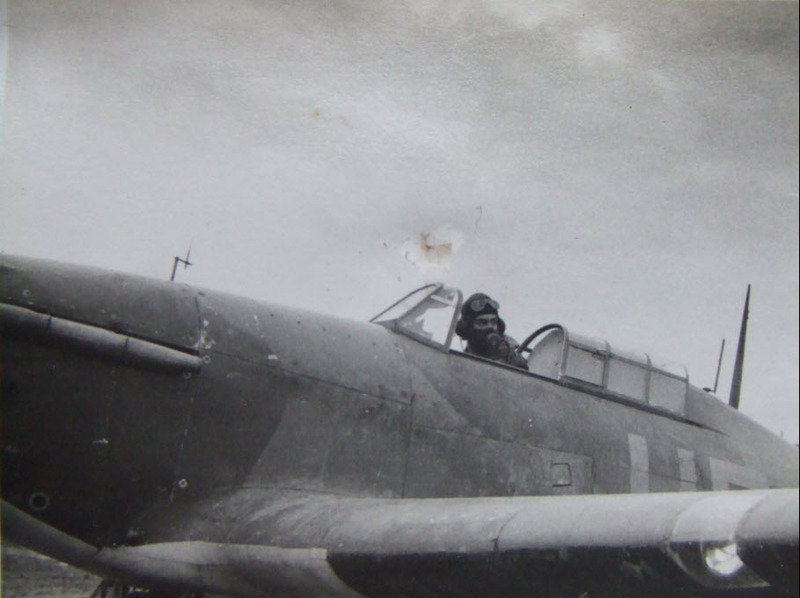 In the last two weeks of June he flew eight more bombing operations over Germany before being sent to Ringway to help establish the RAF’s first parachute training school. 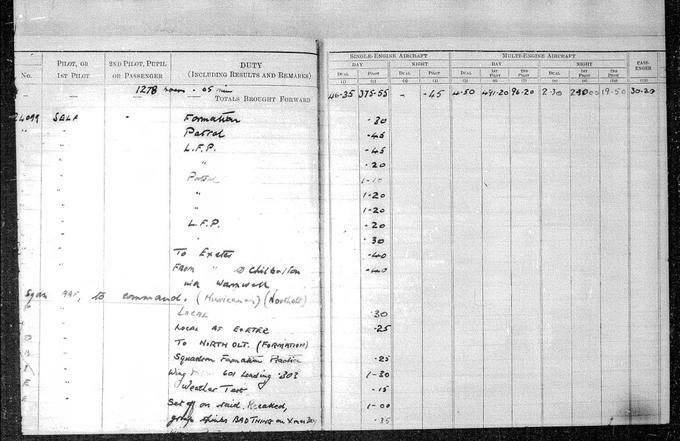 When O’Neill’s DFC was announced, the London Gazette also recorded the award of a DFC to his younger brother Hugh, who went on to gain a Bar to it later in the war. 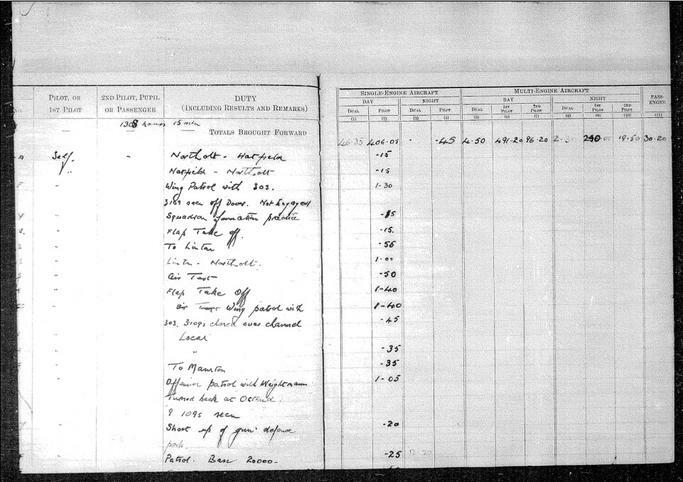 John Anthony O’Neill was born on October 7 1915 at Portsmouth and was educated at St John’s College, Southsea. 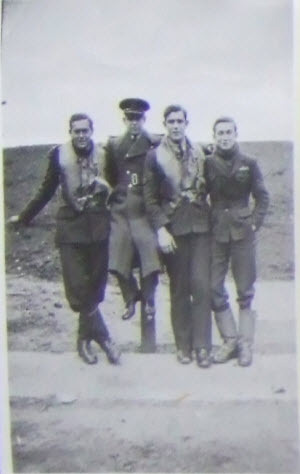 Watching the Schneider Trophy races on the Solent was the source of his fascination with aircraft, and he joined the RAF at the first opportunity. 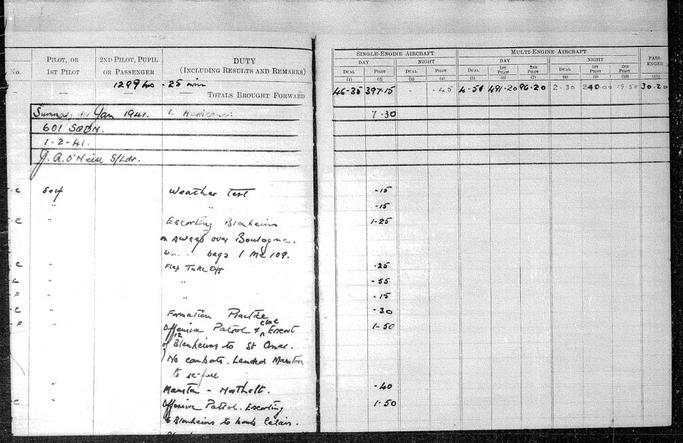 After training as a pilot he spent a year with No 99 Squadron before moving to No 58 in March 1937. He had always wanted to be a fighter pilot, and in September 1940 he transferred to Fighter Command and joined No 601 Squadron at Exeter. 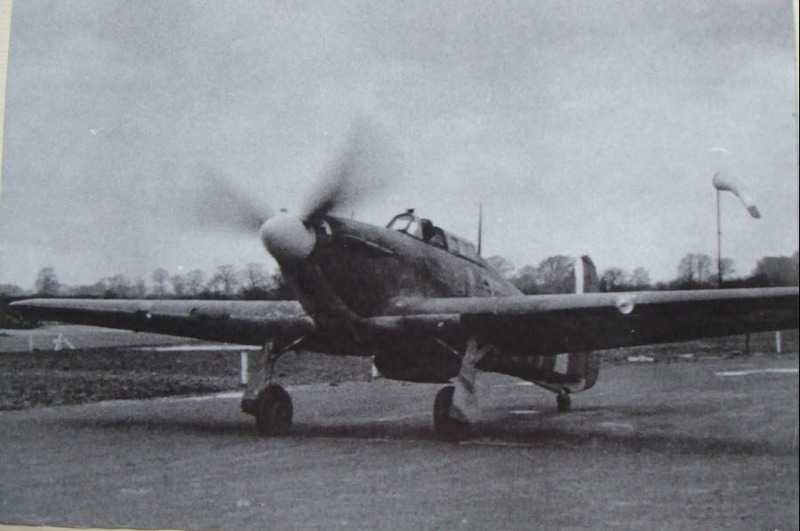 Within a few days he was transferred to No 238 as a flight commander, and he flew from the south of England during the latter phases of the Battle of Britain. 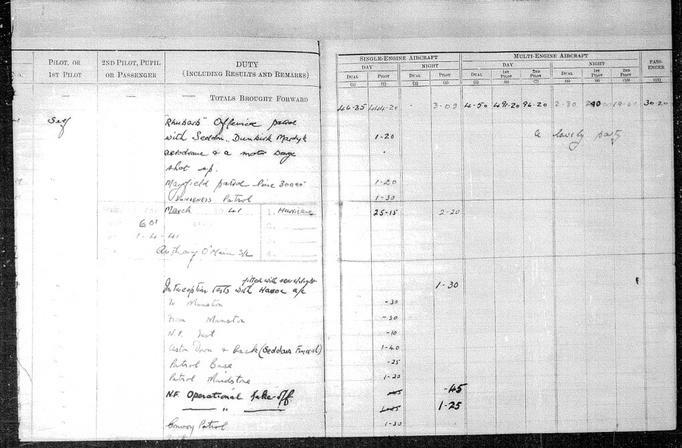 After returning to 601, on April 16 1941 he shot down a Messerschmitt Bf 109, but was immediately attacked from behind and forced to bale out, landing in the sea off Dungeness. He was quickly rescued, but not before he had become eligible for membership of the Caterpillar and Goldfish Clubs. During his convalescence at an RAF rehabilitation centre he met his wife – “the one good turn the Germans did me”, he would say. 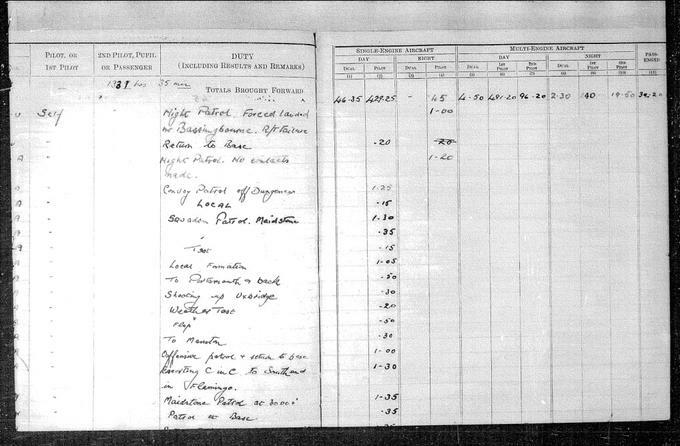 O’Neill next joined a night fighter squadron, flying the Beaufighter. On promotion to wing commander he left for Alipore in India in June 1942 to lead No 165 Fighter Wing, charged with the defence of Calcutta. On the night of December 23 he was flying a Hurricane when he intercepted three Japanese bombers; he attacked them, damaging one. The next night he was scrambled to intercept 10 Mitsubishi Ki-21 bombers approaching Calcutta and was credited with destroying one – the first over India at night, an event which attracted widespread coverage in the British and Indian newspapers. With the arrival of the Beaufighter in India at the end of 1942, O’Neill took command of one of the first squadrons, No 176, based at Dum Dum, Calcutta. 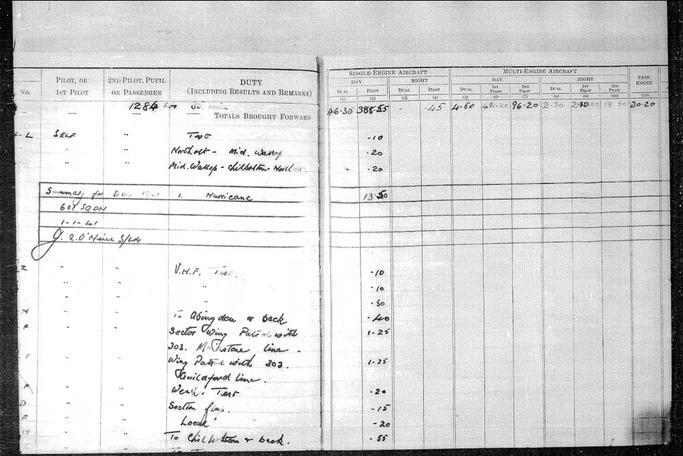 Six months later he was invalided home with jaundice. 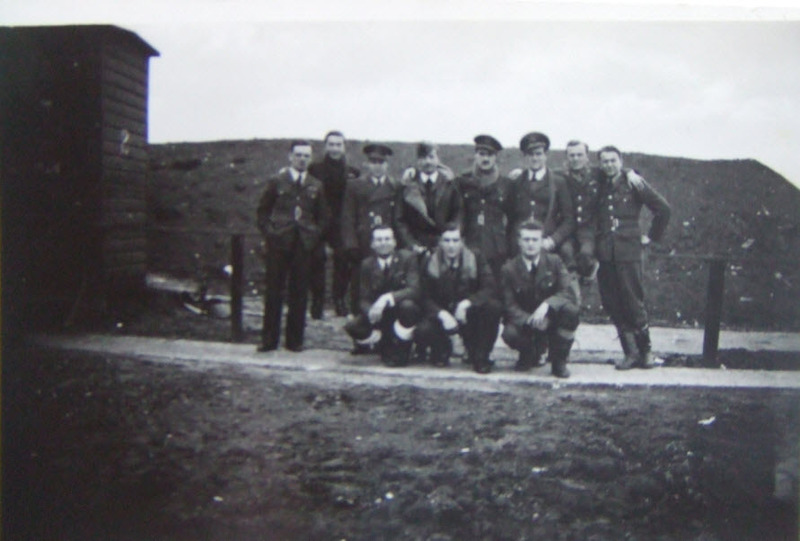 During the last two years of the war he commanded four different night fighter airfields in the south of England, from where his Beaufighter and Mosquito squadrons flew intruder sorties over north-west Europe. 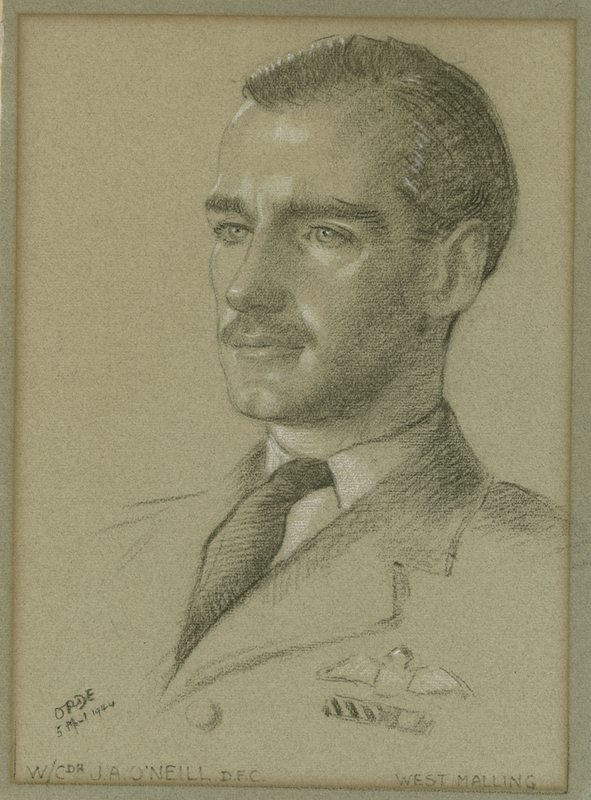 O’Neill remained in the RAF after the war, and in March 1950 was appointed as the first British air attaché to the two-year-old state of Israel. In the years leading up to this time there had been a number of major air incidents, including the shooting down of four RAF Spitfires by the Israeli Air Force and the sabotage of a number of RAF aircraft on the ground by Irgun terrorists. Shortly after he had taken up the appointment, a Sunderland flying boat en route from Bahrain to the Canal Zone strayed off course, and Israeli fighters forced it to land on the water at Tel Aviv. The crew were taken captive, and O’Neill played an important part in securing their release. O’Neill joined Allied Suppliers and spent several years in Chile and Peru as sales director of Lipton’s Tea. After his second retirement he was invited to join the Government Hospitality Fund in a part-time post for which his diplomatic and RAF experience perfectly suited him; he spent 10 years escorting various foreign heads of state and VIPs visiting Britain as guests of the government. A keen golfer and gardener, O’Neill was also polite, modest and self-effacing. He showed great courage in coping with failing health and eyesight. After the death of his wife he drew much comfort from his family and his Roman Catholic faith.Tony O’Neill died on May 15. He married, in 1944, Phyllis Nichols. She died in 2005, and he is survived by their daughter.